Outside and inside, the Unclaimed Baggage Center looks very much like a suburban department store. Image by Tom Adkinson. 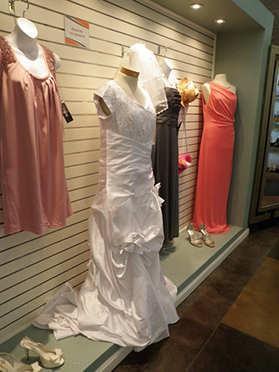 You just hope the bride who lost this dress was taking it home after the ceremony. Image by Tom Adkinson. SCOTTSBORO, AL – Scottsboro is the end of the road for the lost luggage that airlines somehow can’t reunite with the rightful owners. 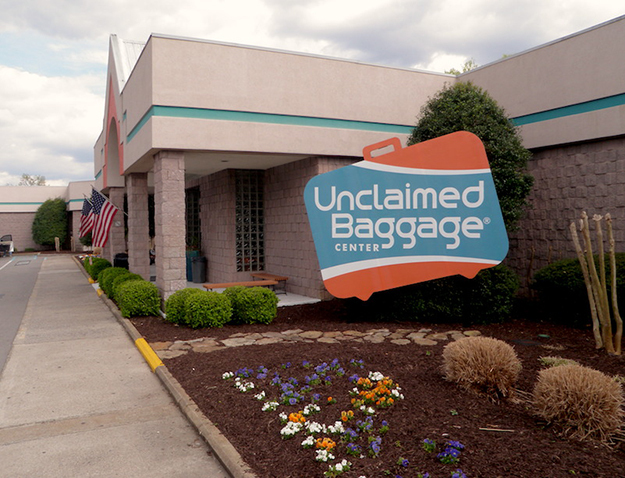 This little town in northeast Alabama between Huntsville and Chattanooga is the home of Unclaimed Baggage Center, one of the oddest retail establishments you’ll ever visit. Some items defy understanding. Just how can a tuba, a standup paddleboard, a unicycle, framed original artwork or a vintage Underwood typewriter get so separated from their owners that they end up in Scottsboro? If the shoe fits, buy it at the Unclaimed Baggage Center. It’s certain to cost less than new retail. Image by Tom Adkinson.Image by Tom Adkinson. Unclaimed Baggage is a savvy merchandizer. 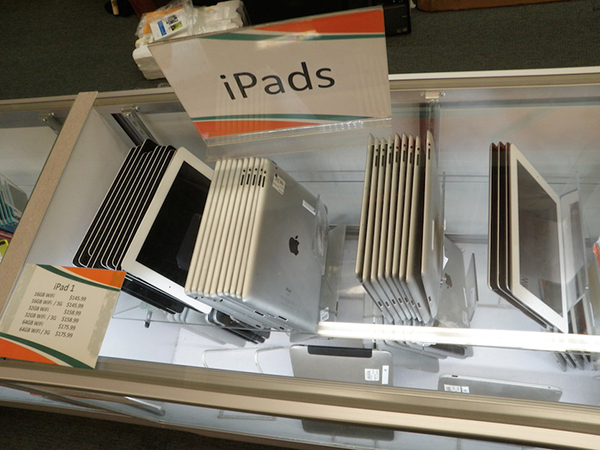 Items are displayed professionally, and while prices are good all the time, there are special sales occasionally. For instance, there’s an annual sale before ski season that includes not just apparel from makers such as Patagonia, North Face and REI, but also hardware such as skis, snowboards, ski boots and goggles. Electronics often are abandoned in airline seatbacks by distracted travelers. Some make it all the way to Scottsboro, Ala. Image by Tom Adkinson. 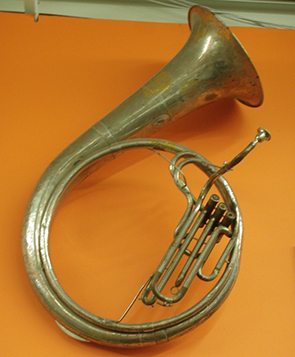 Just who could lose a tuba? Or snow skis, framed artwork, a typewriter, wooden ship models and other big pieces? Image by Tom Adkinson. In a sense, the sprawling one-level operation is a 40,000-square-foot department store, but instead of having professional buyers, it has thousands of losers -- as in people who lose stuff. Merchandise is segregated somewhat as Macy’s or Target would do -- men’s clothing here, electronics over there, camping gear against the far wall, bridal wear around the corner -- making it easy to shop. Airlines actually do a great job of matching travelers with their luggage. Unclaimed Baggage Center says more than 99 percent of all luggage pops up on the carousel as planned and that 95 percent of delayed or misrouted bags eventually get to their owners. Unclaimed Baggage Center buys bags that are forever lost and unclaimed. Contents are sorted, cleaned (the firm operates Alabama’s largest dry cleaning plant), displayed and offered for sale. That’s when your Alabama treasure hunt begins -- at the corner of Unclaimed Baggage Boulevard and Lost Luggage Lane.